Every Corporate/Firm/Entity has working capital loan requirement to meet the entire range of short-term fund requirements that arise within their day-to-day operational cycle. After establishment of a business, funds are needed to carry out day-to-day operations e.g., purchase of raw materials, payment of rent and taxes, telephone and electricity bills, wages and salaries, etc. Cash Credit facility is given against stock, so if any company is require to hold inventory in volume and for a long period, Cash Credit facility helps in keeping the inventory position. Generally bank finance 75% of the inventory value held by company on a particular day. The other mode of working capital finance is in the form of Book Debts, which is against Sundry Receivables. In all type of industry there is a trend of giving credit to its customer in order to increase the margins and sales. Bank finance 50 – 60 % of these receivables who are below 90 days. Non-funded instruments comprise letters of credit (inland and overseas) as well as bank guarantees (performance and financial) to cover advance payments, bid bonds etc. 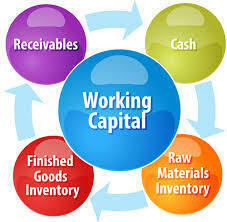 There are many types of working capital finance. 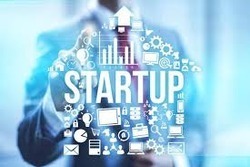 It is normally in the form of Fund Based Finance and Non Fund Based Finance depending upon the requirement of Industry, Trade and Service Sector. Fund based facilities include cash credit, demand loan and bill discounting. Demand loans are considered also under the FCNR (B) scheme. Working Capital Demand Loan is a short term revolving loan facility given for the working capital requirement of the company. WCDL is more common with medium & large companies, which have large working capital requirements unlike CC, which is common with small companies. Working Capital demand loan is given when company has cyclical or seasonal business where in regular limit is not possible. Collateral in the form of Immovable Property either Residential Flat / Commercial Office / Shop in the name of Promoter, Director or any other related person. For take over proposal, firm should be in profit for last two years and has satisfactory track record in previous bank. Looking for Working Capital Loan providers In Mumbai ?